Using outreach approaches is not always easy. Several SEO agencies use a lot of email campaigns that are annoying for the bloggers, webmasters, and journalists as well. The irritating email campaigns can be problematic. But outreach should not be abandoned. It can still be used and taken advantage of. 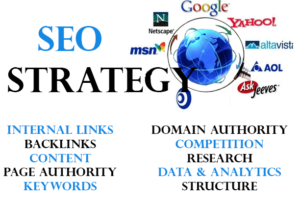 Outreach is critical for the SEOs. It helps them in building a relationship. It assists in creating a relationship with people who are seeking for endorsement. It makes sure that the influencers know about the activity. Outreach can be used for a brand awareness campaign. This campaign can be utilized for a more influential audience. There is a perception that the number of links determines the rank. A Larger number of links equals to a higher ranking. This understanding has led the scale to be preferred over personalization. Investing in the customization of the approach helps in coming up with the propositions that are of value. Make a list of the blogs that you would like to pot as a guest. Select the blogs you would like to review your product. Find the resource pages that contain broken links. Select the ones that your websites can be replaced. Make a list of the websites that have the link to your competitor sites. Get the list of people that you may want to interview. Journalists that you ought to build a relationship with. Look for possible associate partners and the unclaimed mentions of the brand. Several tools can help creating an effective list of outreach targets. There are also tools which will assist in keeping a track of all the goals. Here are some of the tools that can be significantly active in monitoring the objectives. You can use Google Alerts. It will pick up the mentions of your brand. You can configure the advanced queries by combining the search terms with the Keywords used in the title or the anchor text. There is another tool SEMrush that can help by showing excellent strength domains. It will create a link to the competitor pages. It will not create a link to your pages. Haro is an excellent tool for the journalists. It assists them in getting a link and building relationships. Twitter is an effective and efficient way of connecting with the subjects. It is very helpful in connecting bloggers and journalists. There is an extension for chrome known as the Check My Links. It signals the broken links pretty quickly. It makes it easier to replace the broken links. You can use any of these tools for making the outreach efficient. Nobody likes to get cold emails. The cold emails are not appreciated because they ask for things that are not beneficial. The emails that contain a fill-in-the-blanks link is not valued. Composing these emails is not an enjoyable task. Avoid sending these types of emails. It is better to communicate with the contacts in a less intrusive way. It is important that the first contact makes a good impression. The first email they get, tell them who you are. You can start by finding the individual emails. The contacts should be addressed by name. The email should start with useful context. Being real is important. Make sure that the email does not sound fake. Another effective way of sending good emails is to be direct. The message should not contain any irreverent material. You should try to introduce yourself in the best way by using minimum possible words. The final stage of successful SEO outreach is testing. Testing is very relevant for the outreach. You can do the testing by creating batches of the subjects. It will tell you about the groups that have better open rates. You can also test the response rate when the job title is included in the signature. The formal and informal tons can be compared as well. There are several things with which you can experiment. You should follow up with more emails. But be careful that you do not follow up with the same email. It is possible that there will be some response on the second attempt. Do not get disheartened by the silence of the subject. The silence does not always mean that they have rejected your email.